Kallenberg is talking about Prize Fest, which recognizes the best-of-the-best in independent short films, regional musicians, and locally and nationally known chefs. This year’s event will take place in various places – most in downtown Shreveport – Oct. 3-7. There will be a limited number of events the first two days, with the majority of events starting Oct. 5. Kallenberg is Prize Fest's founder and executive director. He says Prize Fest (which began as Film Prize in 2011) was a “terrible idea,” because “as a filmmaker – I’m a filmmaker – one of the last places I would have looked to go on my film festival tour was a place I’d never heard of, like Shreveport, La. When I was out and about and trying to cajole my snobby, filmmaking friends from Austin (where Kallenberg lived before moving to Shreveport), they would ask two questions: “Where in the hell is Shreveport, La., and why would I go there to do anything?” Now, Kallenberg says, those friends – and others from across the country – not only know where Shreveport is, they make plans well in advance to come to Prize Fest. To get Film Prize started seven years ago, Kallenberg – and Kallenberg alone – offered a $50,000 cash prize to whoever produced the best short (5-15 minutes) film. "If you make the best 'short' and the audience helps pick you as a winner, I will give you $50,000,” Kallenberg recalls telling filmmakers. “Oddly enough, at that moment in time, I didn’t have $50,000. I had no idea where I was going to get that money. But it was something that all of the sudden, people were like, ‘Wait, wait, wait. You’re going to give $50,000? I’m in!’” "We knew it was magic from the very beginning," Kallenberg said. Seven years later, the $50,000 prize for Best Film remains, though Kallenberg now has corporate and community help with funding. Also, Music Prize and Food Prize have been added to the mix. Earlier this year, independent filmmakers from throughout the country (Kallenberg won’t say how many) entered their best short films. "The Top 20 were selected by an evergrowing group of national judges from all over the United States," Kallenberg explained, pointing out that no one from Shreveport is a judge. Kallenberg said 43 “reviewers” from the States, as well as from places like Scandinavia and Europe, scored the entries. "It's the best crop of Film Prize films we’ve ever had competing for those Top 20 spots,” Kallenberg said proudly. But here's what makes Film Prize unique. If you buy a ticket, you will help determine who wins the $50,000 prize. 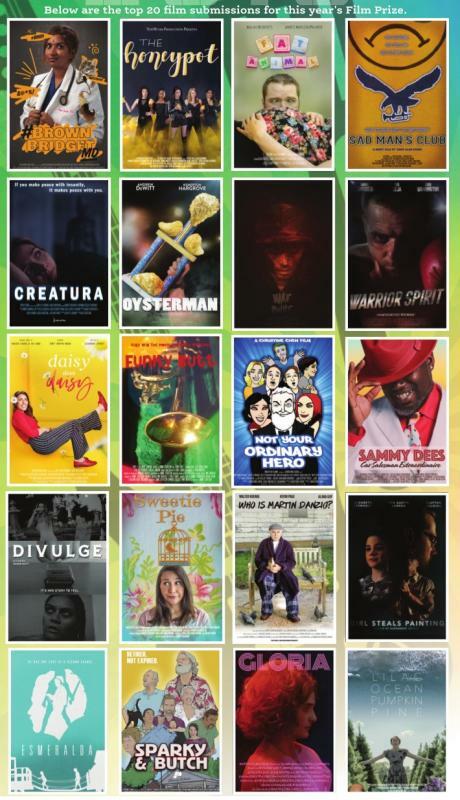 You must view all 20 films, which will be shown at various venues in Shreveport-Bossier Friday and Saturday, then cast your vote. Thursday evening, the Music Prize Showdown will be held under a tent in Artisan's Court, a performing arts and community space in downtown Shreveport. Five finalists will perform in front of you and a panel of music industry judges. Those judges will determine Best in Show – receiving the Music Prize trophy and $2,500. Earlier this year, bands submitted three tracks. Those tracks were then sent to four judges – all in the music industry – in Nashville, Minneapolis, Los Angeles and New Orleans. "The submissions, since we keep them local and regional, are not as many (as the Film Prize) so they (judges) really get to sit back and listen and think, ‘These guys would be awesome live. ” It's not an easy competition, and that's by design. "You gotta earn this from people that do this for a living, or people who have made a career out of helping a band be successful," Kallenberg said. While the judges will have the final say in which band wins the Music Prize, you will determine the winner of another contest. That evening, you will be given a token valued at $5. You can then put that token in the “Bread Jar” of your favorite band. At the end of the night, the band with the most tokens will have their Bread Jar doubled. The remaining bands will receive the total value of their Bread Jar. Throughout the year, a total of 20 local chefs cooked for 100 people – members of The Golden Fork Society. Those 100 people chose their four favorite chefs. Those chefs, plus one other selected as the People’s Golden Fork – by way of a contest run by a local publication – will compete for the Battle of the Golden Fork at Prize Fest. They will duke it out “chop-style” the Friday of Prize Fest in Festival Central (in front of Artspace). The chefs will have 40 minutes – not knowing beforehand the ingredients they must use – to plan, prepare and plate a meal. The winner, who will receive $5,000 cash and the Golden Fork trophy, will be determined by a group of celebrity judges who will travel to Shreveport from around the country. "The amazing thing is, these chefs now call me and say, ‘I want to come to Shreveport.’ I say, ‘You do?’ They say, ‘Hell, yeah! We hear it’s the most amazing place. All the chefs that are out there are saying they want to be a part of this, and we want to be a part of it, too.’” Kallenberg said last year, 3,300 tickets to Prize Fest were sold. That’s a far cry from the 400 tickets sold the first year of Film Prize. Therefore, what once was a “terrible idea” has turned out to be a pretty good idea. "If you're looking for the ultimate culmination of a film competition, a food festival and a music showcase, there is no better place to be than Shreveport, La., Oct. 3-7," Kallenberg said. "At the end of the day, when you look at the talent that is coming here to show their films, the talent that is coming to create the food for the Food Prize participants, to the music and musicians that are performing during Music Prize, it is unmatched." 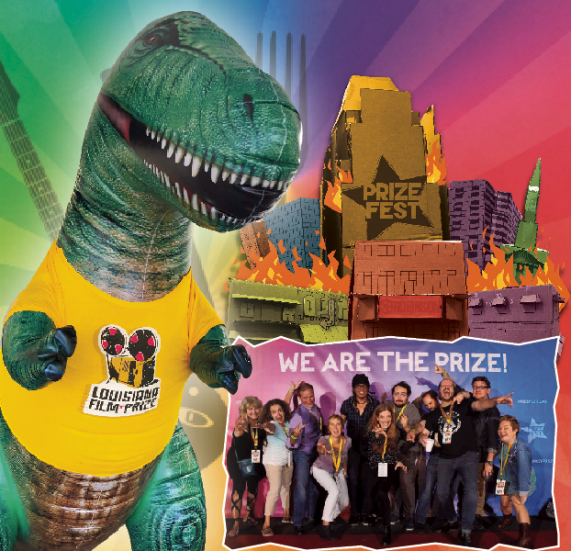 For ticket information and a schedule of events, you may visit www.prizefest.org.